Welcome to Smoke N' Shine. We offer all natural, locally made sauces for those meat connoisseurs Refined taste of our exclusive sauces are a real joy for those who value quality meat! We know a thing or two about barbecue, and we know how to party. So take it from us: a BBQ party is one of the more epic ways to make a gathering memorable. 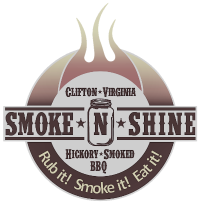 Whether you’re celebrating a recent win at work with an office party, throwing the graduation party of the year, or hosting an office building get-together, nothing gets mouths watering like Smoke N' Shine catering does.